In episode 14 of Australia in the World, Allan and Darren talk nuclear weapons, the Trump-Kim summit, India-Pakistan tensions and the long-awaited free trade agreement between Australia and Indonesia. 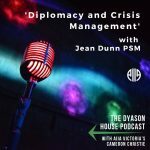 In this episode of the AIIA VIC's Dyason House podcast, the ABC's Michael Brissenden discusses his career as a political reporter and a foreign correspondent. 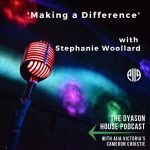 In this episode of the AIIA VIC's Dyason House Podcast, Stephanie Woollard discusses how anyone can make a difference through social entrepreneurship.